GCE O Level (General Certificate of Education: Ordinary Level) is a secondary school examination. It was first introduced as part of British educational reform in England, Wales and Northern Ireland. However, they were replaced gradually by other exams over time in these 3 areas. In Singapore, however, we have the Singapore-Cambridge GCE O-Level examination offered and examined by the University of Cambridge International Examinations (CIE), the Ministry of Education Singapore (MOE) and the Singapore Examinations and Assessment Board (SEAB). The Singapore-Cambridge GCE O-Level examination is run yearly for secondary school students. Pure Physics is one subject in Singapore Cambridge GCE O level exam. Its subject code is 5059. It is more in-depth and “technical” than the Science Physics in subject code 5076 and 5077. 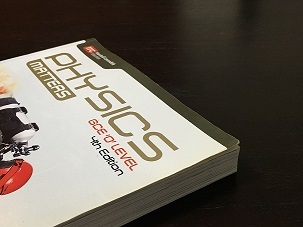 The O level physics syllabus presents theories and concepts of classical physics. Its objective is to provide students with a logical and consistent understanding of energy, matter, and their interrelationships. It explains the physical behaviour of the universe with investigation on natural phenomena and application of patterns, models, principles, theories and laws. Currently, Learning For Keeps only provides physics tuition for O Level 5059 in Singapore in the form of small group class and also 1-to-1.